Radar's bear sure was cute. But he never had a name which always struck viewers as strange. Alas, the nameless teddy bear became a character in itself and was auctioned in 2005 with a starting bid of $500. The bear came with a letter of authenticity from Gary Burghoff and attracted 19 bidders, with the winner paying $14k for a slice of tv history. Before the success of M*A*S*H, Alan Alda’s Hollywood career hadn't been anything to shout about. But then he hit the big time playing Captain Hawkeye Pierce, and the rest was history. Not only was Alda the best actor in the audition process he was also suited to the role having served in the Army Reserve during the actual Korean War. After graduating from Fordham University, Alda gave into his jingoistic urges and signed up to the military. Alda served as a gunnery officer, but he wasn't the only actor. Jamie Farr and Corporal Klinger also had a military history during the Korean War which helped the actors immerse themselves in their characters. 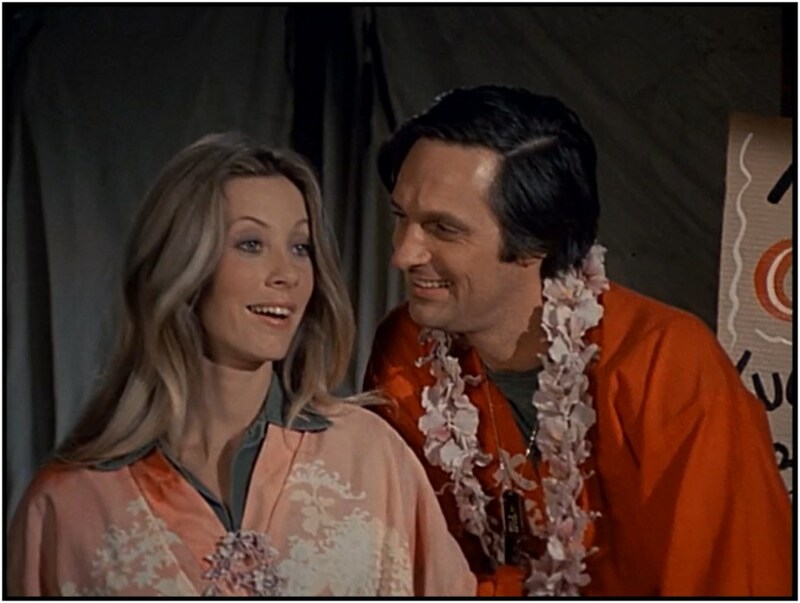 It's hard to imagine M*A*S*H being anything other than a legendary show, but like most series, it intially struggled with its ratings. In the first season, ratings suffered and network heads debated canceling it before staying with it and moving it to a different time slot. It would thus get moved to Saturday nights coming on after All In The Family and before The Mary Tylor Moore Show. It was this shrewd decision that allowed the show to grow into one of the country's most beloved sitcoms. But it wasn't plain sailing. As the years went on, the show's success almost came undone. Jamie Farr did a brilliant job playing Corporal Maxwell Q. Klinger, an effeminate gay soldier. But he was only supposed to appear for a select number of episodes. However, the character proved a hit with viewers, so the writers decided to write Farr's character into more episodes. The cross-dressing personality would stick around for many more memorable episodes, and though viewers suspected he was gay, the writers decided he was better off as a heterosexual character instead. They also intended to have Klinger deliberately fail a psych exam so he could get out of conflict duties before ditching that storyline as well. Many of the writers working on M*A*S*H drew inspiration from actual people in their lives. In seasons six and seven many of the characters were named after baseball players from the Los Angeles Dodgers and the Angels. Actor Mike Farrell, who was known for his emotional phone calls with his family, demanded that his on-screen daughter share the name of his real daughter, Erin. 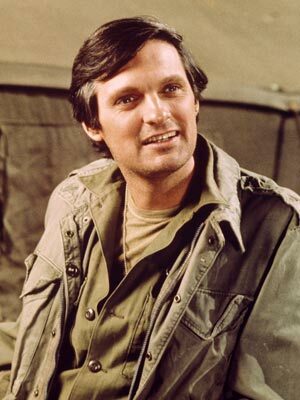 Alan Alda's stretch on M*A*S*H lasted for eleven seasons, and he was in every episode. But his work on the show required significant travel. He commuted from Los Angeles to New Jersey each weekend to film scenes before returning to his family Eastside. He did this because he wasn't sure his career in television would last so didn't want to uproot his family to Los Angeles. However, Alda's career skyrocketed, and after the hit series, he landed a guest appearance on ER as a doctor and even worked alongside Woody Allen in Manhattan Murder Mystery. Alda's other credits include The West Wing, 30 Rock, Blacklist and Horace. Alda would go on to win six Emmy Awards and a Golden Globe in his illustrious career. As we've explained earlier, two of the actors experienced conflict in the Koran War, but others who hadn't listened intently as a range of Korean War vets, from soldiers to patients and doctors, were invited to the set to reveal the graphic details of their ordeal to cast members. However, some of the information they never made it into the script due to the gory details. Actor Gary Burghoff, famed for playing Charlie Brown in an off-Broadway musical, even hid a deformed hand on the show. The camera would normally set up items in the view of his hand or have him stuff his hands in his pocket so viewers couldn't see it. Pictured second from the top left, you can see that Burghoff is hiding one of his hands. Departing actor McLean Stevenson was the leading light in the show's 72nd episode, Abyssinia, Henry. The episode saw his character Colonel Henry Blake honorably discharged. But this was far from the swansong fans envisioned. After paying his respects to his fellow soldiers, a controversial plot twist saw his character lose his life. The episode ended with Blake's transport plane being taken down over the Sea of Japan. More than 1,000 complaint letters were sent soon after, and for the first time since the first season, the show appeared to be in dire straights. M*A*S*H writers gained a reputation for being unopen to input and changes from the crew. While they were intially open to feedback, the tedious notes from the actors got on the writer's nerves, and they soon put a stop to notes they deemed unnecessary. To ensure they never got another note from an actor, they made some of the cast depict a scene in winter by having them wearing heavy parkas when they were actually in Malibu. Unsurprisingly, the complaints soon stopped, but many actors were annoyed at their lack of creative freedoms, including McLean Stevenson who left the show in a bid to pursue more collaborative endeavors. Popular actors leaving successful tv shows is nothing new, but when Wayne Rogers, who played Captain "Trapper" John McIntyre, wanted out on M*A*S*H, the producers informed him he'd violate his contract. But fan favorite Rogers had never signed a contract and was soon allowed to leave with little notice due to creative differences between his character Peirce, who he thought was too rude. After finding limited success in other projects, Rogers would turn his hand to different facets within the industry, both producing, writing and directing a series of projects. He also branched out into the world of finance by founding a stock investment corporation. The final series made television history when an astonishing 106 million viewers tuned in. Yes, you read that right. It would be a record that would only be set by The Super Bowl. When you consider that the first season was almost canned, the record viewing figures are almost unfathomable, especially in today's limited attention span era and abundance of entertainment choices thanks to streaming services such as Netflix and Amazon Prime. "Goodbye, Farewell and Amen." was the finale's title, and at two and a half hours long, it was more a cinematic spectacle than a tv one. It was also directed by the series star, Alan Alda, who is perhaps most known to younger audiences as the elderly hospital patient in the Nicholas Sparks movie, The Longest Ride. After the show wrapped in 1983, three spin-off series proceeded it, all hoping to replicate the enormous success of its predecessor. The first show to take the plunge was Trapper John, M.D. which focused on the much-loved character's life as Chief of Surgery at a San Francisco medical facility. The show would do moderately well, lasting seven seasons. However, Wayne Rogers did not reprise his character in W*A*L*T*E*R; a show centered on the character's life in St. Louis. The third and final M*A*S*H- spin-off was the aptly named After MASH, a show starring M*A*S*H actors Harry Morgan, William Christopher, and Jamie Farr. However, due to the success of the A-Team, the show didn't last long. Gary Burghoff was a drummer in the rock band The Relatives, and also performed with the gorgeous Lynda Carter. It would be Carter's influence that would help Burghoff establish his career as an actor after landing a guest spot on her hit series. But Burghoff retired his acting chops and sought to go back to his childhood love of animals. Blending it with his talents as a painter, Burghof would reinvent himself as a credible wildlife painter. Like many tv exports, the hit series M*A*S*H didn't take off in the UK despite immense success in its homeland. Perhaps because of the Korean War being one entirely of America's doing, the show proved to have little relevance to the British audience, who already their own successful sitcoms in the 70s and 80s. Another feature that British audiences weren't that accustomed to back then was the "laugh track" a feature prevalent in many US sitcoms even to this day. TV series are not adverse to taking criticism and suffering a backlash, as the show's producers experienced when they killed off a beloved character. However, considering the show was focused on the US army's efforts in the Korean war, it must have been hard to take criticism from certain sections of the armed forces, who claimed the show criticized certain departments. While the show's creators took these criticisms on board, it always aimed to distance itself from making any objections against the institution of the armed forces, despite the show's success taking on many political and social issues caused not only by war and conflict but also by years of backward thinking in America itself. This is pretty cool. One of the sets was found high up in the mountains close to the scenic beauty of Malibu, California. This set was used for outside scenes in the first two seasons. The second set at Fox studios was used mostly for indoor scenes. With the show's success, the set was expanded to allow for more outside scenes. How could we not? Costume plays an integral part in any tv series, and it helped that the writers and costume designers had actors to work with who had already been in the army. Klinger, for instance, one of tv's first metrosexuals, even admitted that he tried to get thrown out of the army by wearing women's clothing in the much-loved series. That story coincided with Lenny Bruce who was famously given a dishonorable discharge from the Navy for the same reason! CBS, much to the British audience's displeasure, said it was mandatory that the show contained a laugh track. Even the actors and producers didn't want it. After all, what's so funny about war? However, in a bold move, CBS believed the laugh track was crucial so viewers didn't confuse the show for a drama and it appeared to work. Even if you get an updated DVD version, the laughing track remains. While diversity in Hollywood is now high on the agenda, diversity was pretty much non-existent in the Hollywood casting process during the 70s and 80s, even if the tv series was set in Korea! That said, there simply weren't enough Korean actors available to audition when the show was filmed, so producers simply hired actors of Asian descent instead. Only one Korean actor played the role of a Korean. Colonel Potter was a riot, wasn't he? One of the most popular characters on the show, Harry Morgan's most enduring character wasn't shy about his love for the role so much so that he has a framed photo on his character's desk in the series depicting his wife, named Mildred, who also happens to be his real wife, Eileen. Penned by Larry Gelbart, the pilot was completed in just two days, but Gelbart's efforts were well rewarded. He was paid $25,000 for his work adapting the book. However, the author and director of the movie adaptation were not big fans of the show, despite the tv series being the most commercially successful telling of the story. Alan Alda's thespian brilliance has already been covered, but as the star of the show, it would be a shame to not dedicate at least one more slide to Alda's work. As previously mentioned, Alda was a multifaceted artist, who acted, wrote, directed and produced. His M*A*S*H directing credits alone totaled an impressive 31! Being talented in just one of those fields is impressive, but for Alda to have mastered multiple crafts is a testament to his ability as an artist and student of the movie business itself. With all this said, it should come as little surprise that Alda was the first nominee to win a hat trick of Emmy Awards for writing, directing, and acting on the same show. Alda is a true legend of the business- you won't read a more exact fact than that all day. Before the show was even a success, advertisers wanting to have a slot on the show's pauses would need to stump up $30,000 when the show first started, so you can imagine the sums splashed out during the season's finale. While it was by no means the kind of sums befitting of a Super Bowl half-time slot, (which in today's market would set you back upwards of $5m) advertisers in 1983 had to stump up $450,000 for a slice of tv history. And with over 100m viewers, we reckon that was probably a price worth paying. "As Time Goes By" is a fans' favorite. The episode sees the boys build a time capsule within the ranch and just two months after it was shot the capsule was buried underground. However, it was sold two months later. While the cast intended for it not to be found, construction workers soon found the capsule within two months, proving that actors should stick to their craft rather than try anything remotely manual! While the construction workers were baffled, they eventually phoned the right people, at which point they were put through to Alda who encouraged them to keep hold of it. But they “didn’t seem very impressed" and were intent on selling it. The comedian Robert Klein needs little introduction, but his career could have gone on a different course had he accepted the role of Trapper John. But Hollywood is a place built upon the age-old adage, "Should have, could have, would have." Does Klein's rejection mean he lacked the visionary insight of those on the show? Of course not, it's simply part of being in a business built on chance as much as it is the quality of the work. This is certainly a pub quiz question. But such is the odd way of Hollywood and the bizarre filming schedules, they decided to film the finale sometime before the very last episode, which kind off took away the sentimentality of it all. The official last episode in the filming process was the favorite time capsule episode "As Time Goes By." Even the most successful shows eventually come to an end. Whether it's because the ratings have tanked or because the show simply drew to a natural conclusion, all good things- or bad things- as the saying goes, must eventually come to an end, but the fate of one America's most beloved series ended in an unorthodox manner. With democracy at the forefront, a vote was held by the cast members as to whether the show should progress to a 12th season. The vote cast meant that the show would end in 1983. But what a ride it was! As we explained earlier, British audiences didn't resonate with the show the way their US counterparts did, ironic when you consider the British writer Larry Gelbert wrote the pilot. A producer and writer who just happened to like the film adaptation was living in the U.K. at the time and had no real knowledge of American sentiment towards the Korean War, but his writing was strong enough to have earned him $25,000 for two days work. It was no secret among crew and staff that Hawkeye loathed guns. Despite being Officer of the Day, he never carried a sidearm with him despite Potter insisting he carry a pistol when they were at the aid station. Instead of agreeing, he screamed and shot a round of bullets into the air, no doubt making his feelings clear as day. Despite this dichotomy and moral quandary, Hawkeye got round this anti-violence stance thanks to his skills as a surgeon rather than a soldier. While Alan Alda has been waxed lyrical in this gallery, it is worth noting the contribution of another much-loved star of the show, Gary Burghoff, Despite leaving in 1979, four years before the show's end, M*A*S*H writers gave his character a fitting send-off in the two-part episode, "Goodbye Radar." Wishing to spend more time with his family, Gary's departure was the subject of much gossip at the time, with TV reporter Mike Drew claiming, "No castmates cried much over the departure of Burghoff." Fighting back, Burghoff replied, "While there may not have have been tears shed by my cast members over my leaving the show, they did know - and still do - of my contribution."